The RAC is open! We&apos;ve had several events to celebrate! 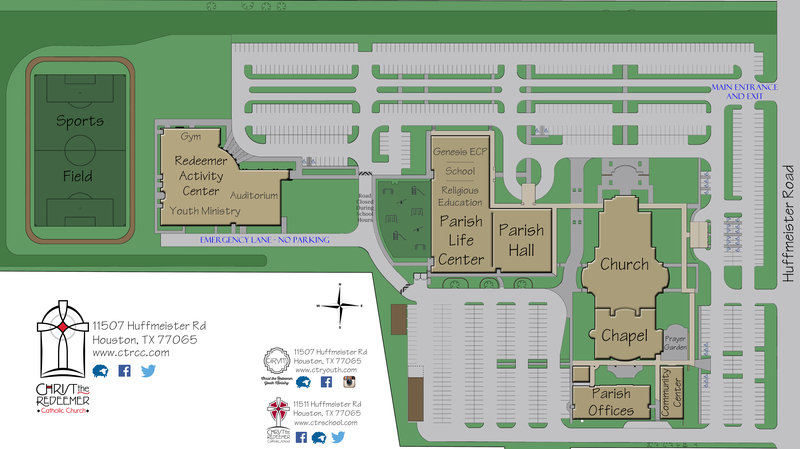 Christ the Redeemer Catholic Church is visioning for the future through the Living Our Mission, Shaping Our Future Capital Campaign - completing our parish Master Plan with the addition of facilities that will help us continue to keep our lives centered in Christ. With a mission steeped in our Catholic identity, the campaign aids the construction of the new Redeemer Activity Center - including a Youth Ministry suite, gymnasium, auditorium and meetings spaces where our parishioners can come together to learn and grow in their faith in countless ways. If you and your family have not yet considered your pledge, we ask you to share a sacrificial gift - keeping in mind that all gifts, no matter the size, are needed and greatly appreciated. The campaign is based on equal sacrifice, not equal giving. Why making a gift or pledge to the campaign important? Making a pledge on a three-year gift allows you to consider a sacrificial amount that would otherwise not seem possible. A one-time gift provides our project immediate resources, but a pledge makes payments less of a burden on donors and is encouraged to help us vision for the future. A pledge gives the parish an accurate estimate for future planning. Gifts can be made easily online via FaithDirect at any time. Or contact Megan Dillingham ( megan.dillingham@ctrcc.com) in the Advancement Office (281-469-5533) with questions about the campaign or for your own, personal pledge card. See the Redeemer Activity Center Going Up! Take a look at the time-lapsed camera footage and photos of the beginning of the progress on the Redeemer Activity Center. The time-lapse will be from the beginning to right now! Ed and Loretta Mock have seen the massive growth of Christ the Redeemer over the years. With four generations now at the parish, they have contributed to their share of building projects. The Mocks still do not hesitate in their enthusiasm for expansion that aids in the growth of their spiritual family.